For many years L3 Narda-MITEQ's primary area of expertise for space products was in low-noise amplifiers. 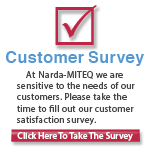 However, L3 Narda-MITEQ has been able to provide a wide spectrum of products and designs by utilizing mature technology delivered on other high-reliability programs. With our extensive space experience, we have been able to use qualification data from our existing designs while delivering custom-engineered units, thereby offering reduced cost and shorter delivery times to our customers. 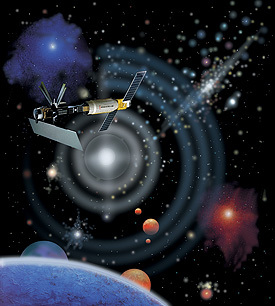 L3 Narda-MITEQ's continued advancements in this state-of-the-art and unique capability have led to a wide acceptance by the microwave community as a forerunner in spaceborne technology. Our space-qualified components include mixers, oscillators, amplifiers, synthesizers, and super-components. 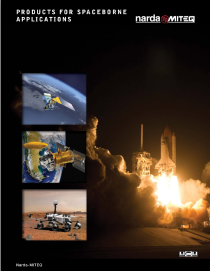 L3 Narda-MITEQ's Space-Qualified Quality Assurance Plan establishes the actions necessary to provide confidence that the end item will meet the quality, reliability, and electrical performance required for space-qualified applications.